It's still pretty hot in Southern California, but my makeup has definitely been moving towards autumn. I'm a general warm makeup lover, but I've really been bringing out all the warm and "fall/autumn" type of colors in anticipation of the season change. To start off - Skincare! I've been posting about it more on Instagram, but I'm now a Memebox Ambassador and that has given me such a great opportunity to try out more Korean skincare and makeup products. 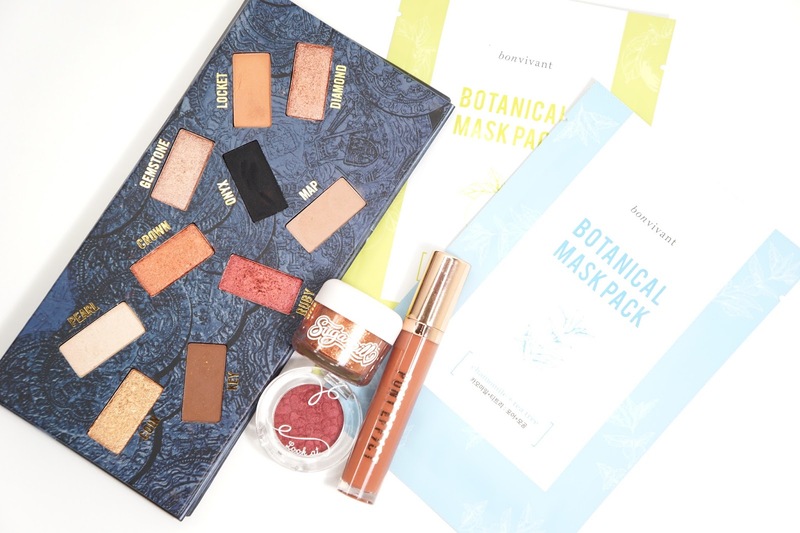 One of the things they introduced me to is the Bonvivant Botanical Mask Packs*! The asterisk is also a half kind of asterisk because I've already repurchased these sheet masks in the value packs. I think I've used up all of the PR Samples of these masks they've sent me as well! These sheet masks are very saturated but I never see the essence dripping off of my face. I usually have to use the Daiso Reusable Silicone Mask Cover on top of other sheet masks to keep the masks for staying wet and in place, but I never worry about that with he Bonviviant sheet masks. The essence also absorbs really well and leaves my skin feeling more plump, refreshed, and moisturized. My favorites are the Niacinamide + Lime and Chamomile + Tea Tree sheet masks. My skin does well with these ingredients, but the other available "flavors" are also great options! It's hard for me to pin point the specific differences between each mask and so that's why I haven't done a full review of them. For makeup favorites, I've really gone back into loving eyeshadows. The Sugarpill Loose Eyeshadow in Penelope is the most gorgeous metallic copper color without looking too much. I am a fan of orange eyeshadows, but it's hard for me to wear super orange colors by itself. There is enough brown in Penelope that I can wear it alone, but I love putting this foiled on my lids with a matte medium brown in my crease. The Etude House Look At My Eyes Eyeshadow in RD302 is a shimmery red based burgundy eyeshadow and oh boy is it pretty. It's a lot more pigmented than other Etude House eyeshadows as well and so that was a nice surprise. 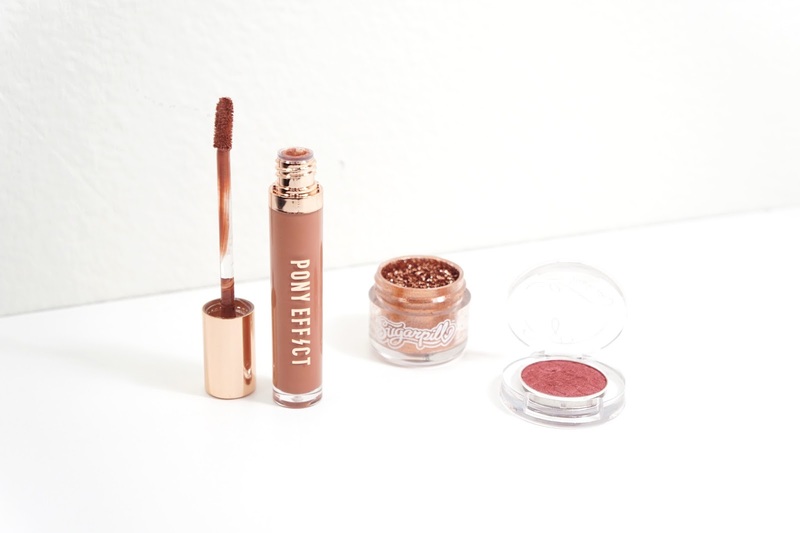 The texture is soft but not too powdery and applies on so well. Compared to Penelope, I do have to put something in my crease because the red base makes my eyes look more tired. I've been in between liking and loving the Dose of Colors Hidden Treasure Palette since I bought it. The colors are great, but the shimmery colors do have some fall out if I'm not careful and that's the only reason why I wasn't completely in love with it. Overall, I think this is a great standalone palette. While the matte shades aren't too unique, they work well with the shimmery shades so that I never have to reach for anything else to create a full look. 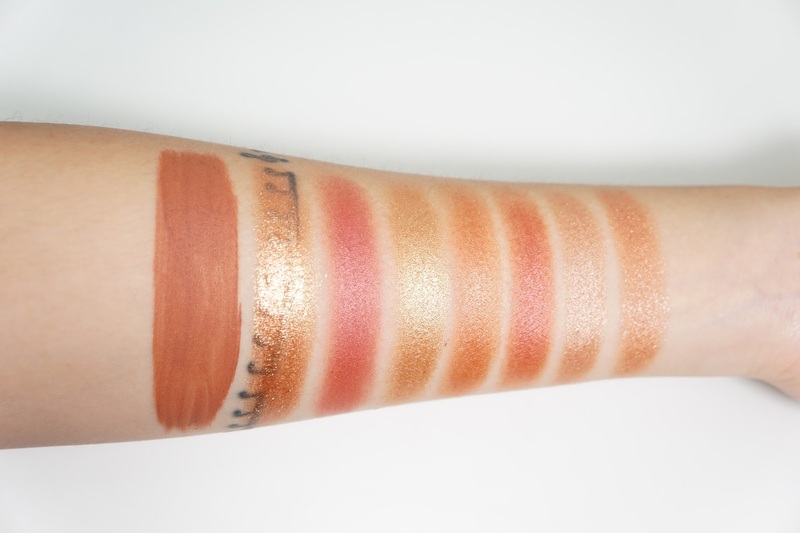 I only swatched the shimmery shades though since those colors are what made me want this palette. The metallic shine isn't as strong as Sugarpill Penelope, but I can definitely create that same kind of look with the Dose Of Colors shimmery eyeshadows with the help of something like MAC Fix+. The Hidden Treasure Palette is also one of the few palettes (with more than 3-4 colors) that I see myself using every single color. Do you have these products? What are your August favorites?